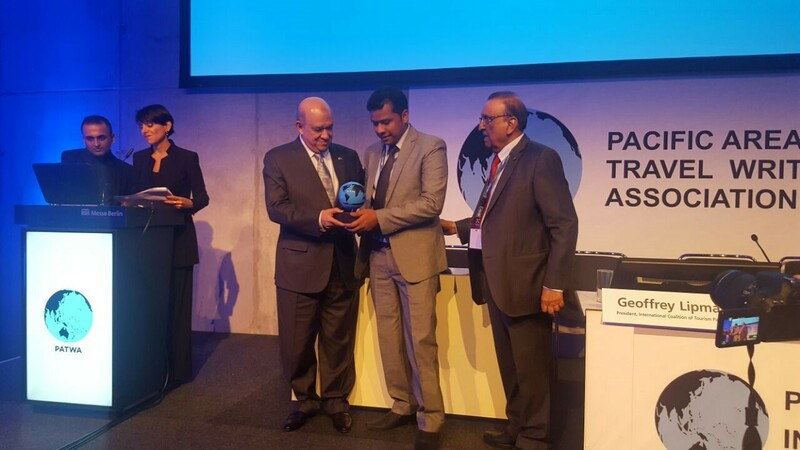 Andhra Pradesh Tourism received “AP Best Emerging Destination” award from Pacific Area Travel Writers Association (PATWA) in Berlin, Germany 2017. Sri Himanshu Shukla, IAS, Director, Department of Tourism received the award on 12 March 2017. © 2017 All Rights Reserved. - Sudheer Abv - Andhra Pradesh Tourism Authority.